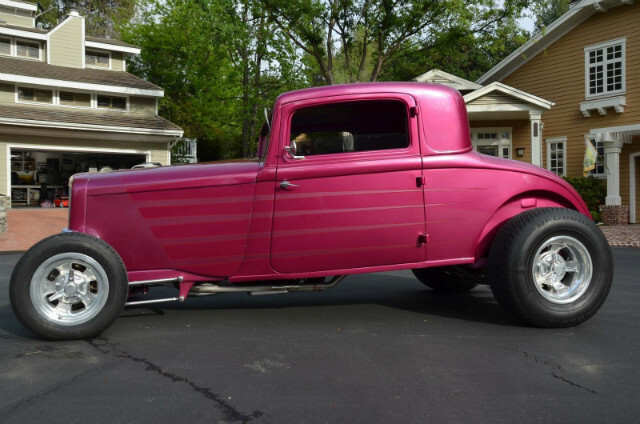 1932 Plymouth PB Coupe, 350 V-8 Turbo 400 Automatic, A/C, Chrome Corvette rearend, Chrome Ford front axle, Halibrand Wheels, This is a well built well sorted car that has been driven over 20k miles since completion. It is a nice running and driving affordable real Hot Rod. It is a real steel 1932 Plymouth, no fiberglass kit car here. There were a dozen Fords built in 1932 for every one Plymouth, and probably even more "32 Fords" on the road today than in 1932.............It has nicks and chips, it could be cosmetically freshened up or simply enjoyed just as it is as I am doing.